These two porcelain mugs feature a fresh, springlike design! 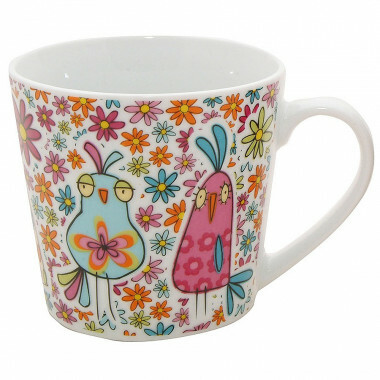 These two porcelain mugs feature a fresh, springlike design! One with bright little flowers and the other with ditsy birds. These mugs are sold indivdually. Microwaveable and dishwasher safe.